Planning a mitten exchange as a new gifting tradition. A mitten exchange works perfectly for friend groups, co-worker groups, large families, and anyone else who loves the idea of receiving a beautiful new pair of handmade mittens. My girlfriends and I recently got together for a mitten exchange - aren't they fabulous mitten/hand models? Just wait until you see the creative wrapping showcased in next week's post! (Many thanks to my friend Caitlin who originally got me thinking about this idea). (+) Assign each participant a person to shop for in advance. 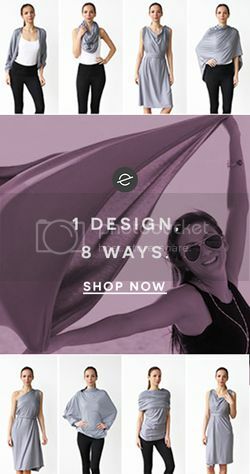 This option works well if you have different sizing needs (such as children and adults) or need to suit a wide variety of styles. (+) Purchase (handmade preferred!) 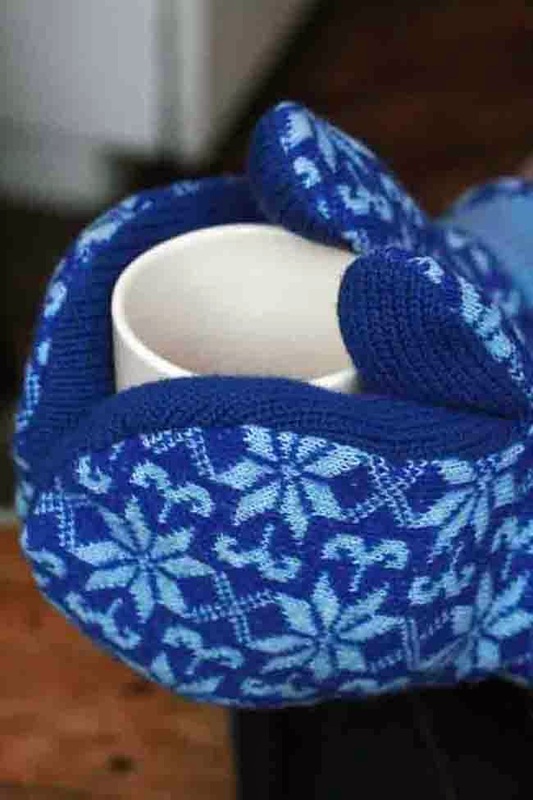 or knit your own mittens, and wrap your mittens without knowing who the recipient will be. 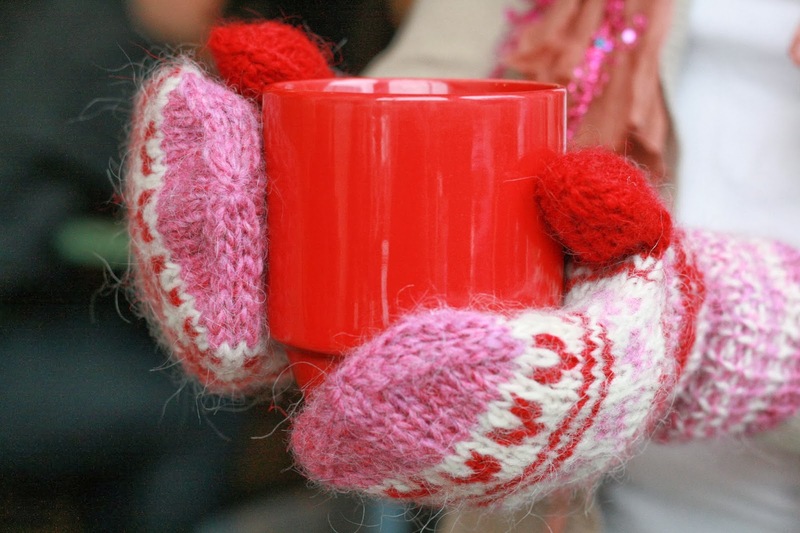 Bring wrapped mittens to the exchange and assign a number to each gift. 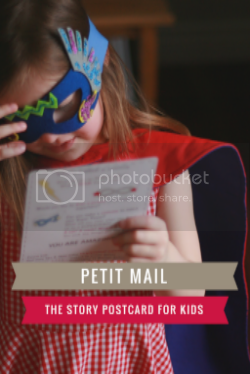 Each person draws a number and matches it to his or her gift. (+) choose your own way! The possibilities are endless. Plan a date, time, and location for your exchange. Encourage creative gift wrap. Love the mittens that you see here? Be sure to visit each of the individual hand makers featured here this week: (+) Handmade red & pink mittens made with 100% pure Icelandic wool from pureIceland (+) one of a kind upcycled sweater mittens from MadeAgainMittens (+) Upcycled felted sweater mittens from Wormewoole (+) Sheep's grey hand knit thrummed mittens from Manda's Mittens. 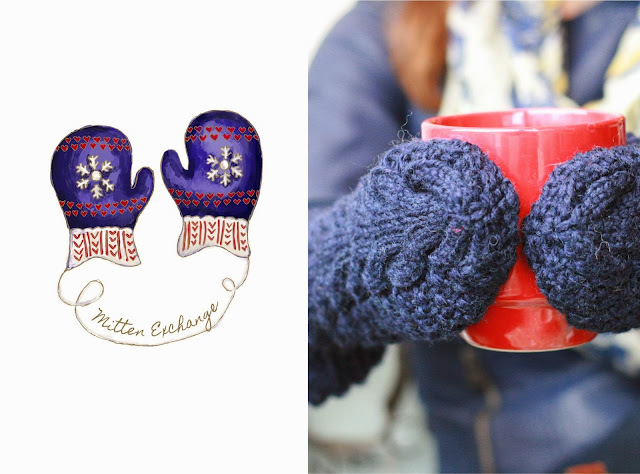 Want more Mitten Exchange Inspiration? See how 5 friends each wrapped a pair of mittens for the exchange. Gorgeous gift wrap inspiration for any gift! Thanks Bev. I love it too! Kim and I have been planning this for months - so happy I can finally share with the world! Cute idea Alison - and a great selection of mittens too! Off to check out the mitten shops. 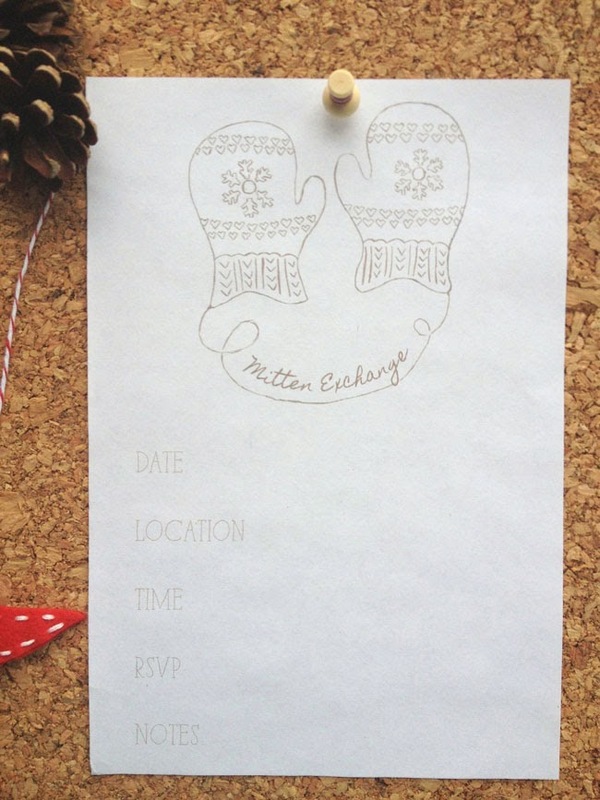 Such a sweet + warm idea and I love the mitten illustration! This project really makes me wish I had a mug of hot chocolate in between my hands right now. 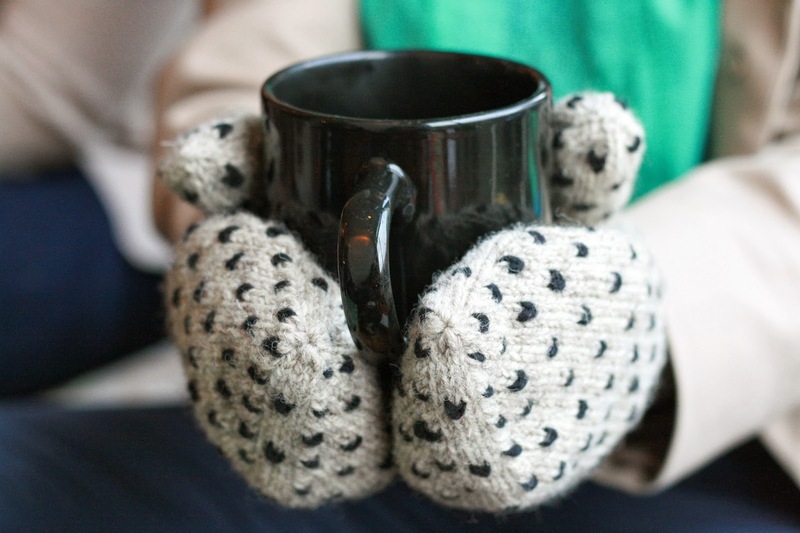 A great excuse to grab a warm cuppa! I love it! And brrrrrrr. Is it chilly up here! Hi Karen - Exactly! Most of us can use a beautiful new pair of mittens - I'm wearing mine already! Ha, the knitting virus keeps spreading! 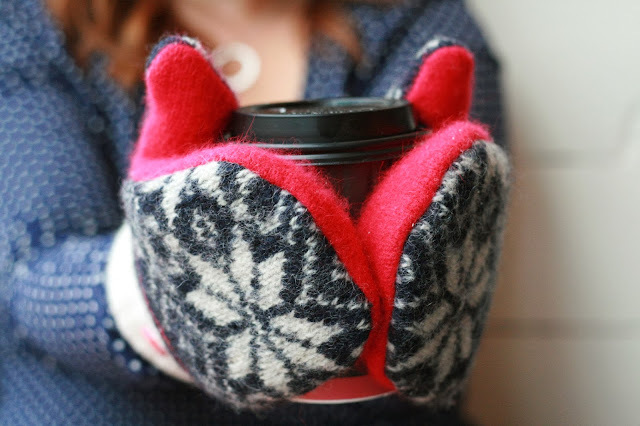 Seriously, though, there are some GORGEOUS mittens in your photos (I might need to find some of those patterns). I can't wait to see all your gift wrapping -- you have the best wrapping posts!